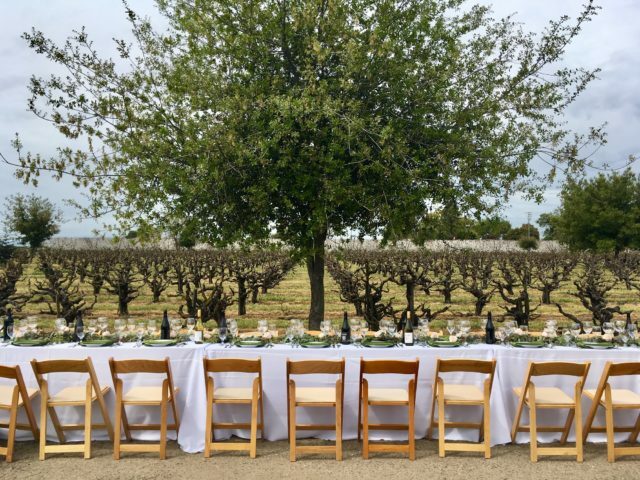 The first stop on our California tour took us to Lodi, where we dined among ancient gnarly Zinfandel vines dating back to the early 1900s. While Napa and Sonoma steal a lot of the limelight, Lodi is the engine room of the California wine industry, accounting for 40% of all wine produced in the Golden State. There are over 110,000 acres of vines planted in Lodi and 750 producers operating in the region, which is carving a niche for experimentation with Italian varieties. Everything from Aglianico to Nero d’avila is in the ground here. 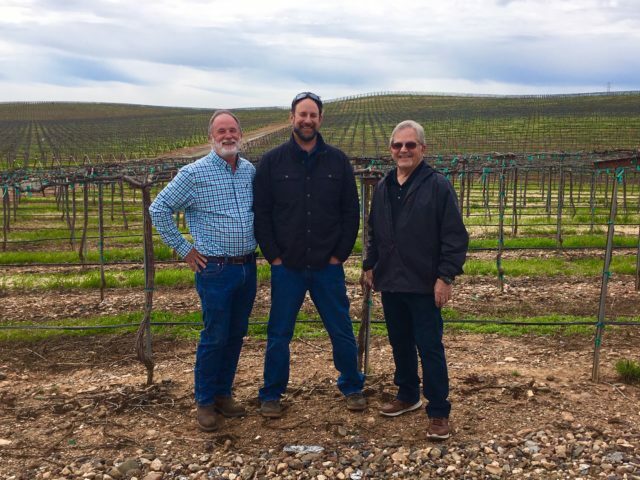 While touring Lodi, we got the lowdown on the region from Delicato’s vineyard manager Danny Lucchesi (centre) and director of grower relations Bud Bradley (right). Lodi has seven sub-regions and a plethora of soil types, from sandy granite and clay to Châteauneuf-du-Pape-like rock. One of the oldest plots in Lodi is a Cinsault vineyard dating back to 1886 – the grapes it yields are so popular there’s a waiting list for them.